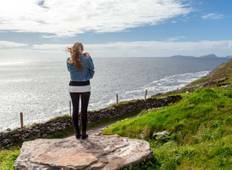 Find a culture trip that explores Ireland. There are 46 cultural tours to choose from, that range in length from 3 days up to 14 days. The most popular month for these tours is September, which has the most tour departures. "We found Peter to be very helpful, courteous and professional. He was always very..."
"I've recently returned from the Celtic Rocker 5 day tour and I am still on a high..."
"I had a wonderful time. The best way to travel in Ireland. Stress free and complete...."
"Excellent! Definitely a good first trip to Ireland." "A very well organised and run trip." 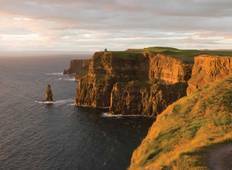 "I had an awesome experience with Overland Ireland. Was a great tour, amazing activities..."
"I booked this trip on a whim after years of saying I need to go to Ireland. I had..."